A body was found in Dudley, Massachusetts, after several fires broke out. One person has died following a fire in Dudley, Massachusetts, on Tuesday morning, and the deceased is believed to have been involved with starting the fires, according to fire officials. Firefighters responded to reports of multiple fires at a property on Dudley Oxford Road shortly before 7:30 a.m. Tuesday. The fires were located in a vehicle, a shed and a house. The state fire marshal's office said the person who died is believed to have been "intimately involved" with the start of the fires. 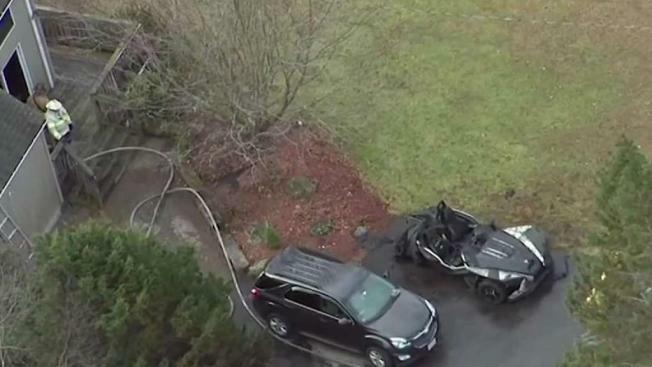 So far investigators are not releasing the name of the deceased, but NBC10 Boston obtained court records showing the man who owned the house was due in court Tuesday for a contempt hearing relating to his divorce. His attorney confirmed he did not show up for that hearing. A person died Tuesday after a fire in Dudley, Massachusetts. Court records also show his wife had filed a restraining order against him earlier this year, stating he took narcotics for pain and had an issue with rage. She also told police he had threatened to light her check book on fire in the past. Police would not confirm whether or not the male homeowner is the one who died in the fire, but said they have been to the home before. "There's only one person in the house at this time," Dudley Police Chief Steven Wojnar said. "I'm not sure who else lives at the home." "We arrived to two burning vehicles," added Dudley Fire Chief Dean Kochanowski. "We proceeded to put the vehicles out. Discovered the house was on fire from the back side." 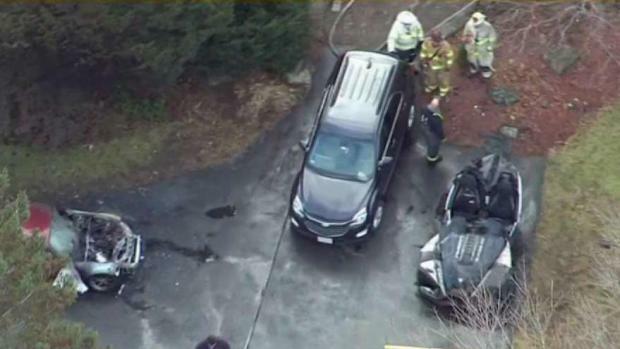 NBC10 Boston's Sky Ranger helicopter was over the scene, where multiple units could be seen responding to a home. Firefighters could be seen assessing the house, and there were at least two burned cars in a driveway. The single-family home is currently for sale. The fire is being investigated by Dudley fire and police, along with state police assigned to the state fire marshal's office and the Worcester District Attorney's office.